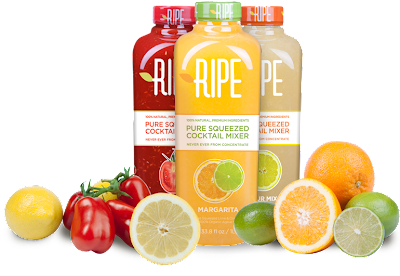 Every time I make a cocktail (up until now) I've wished for this product - Ripe mixers - I've especially wished for the Margarita mix... I've always said, if I made a product to sell it would be fresh mixers... Well for all of you cocktailistas out there this is a find. AND they are made right in my backyard (well CT - it's a big back yard). Pure fresh squeezed juices in the all the right proportions for a drink. So next time instead of reaching for a sugary Bacardi mixer try on of these! I found them at WholeFoods!